OK, we admit that it may be a little early in the year to be getting all festive, but who can resist the charm of Bavarian Christmas markets? We’re not suggesting you start unpacking the baubles, detangling the fairy lights, or blasting out Wizzard’s I Wish It Could Be Christmas Every Day, and stockpiling mince pies. Though in our opinion pies are for life, not just for Christmas. But, soon enough, when your Facebook feed is full of Christmas-jumper and ski-goggle-clad mates, smugly scoffing bratwursts, guzzling glühwein and trying not to land Bambi style on an ice rink – you might just want to book a very merry Christmas getaway of your own. So, where to go? We challenge you to find somewhere more festive than Germany. Birthplace of advent calendars, gingerbread houses, Christmas trees as we know them today, and the natural home of Bavarian Christmas markets. 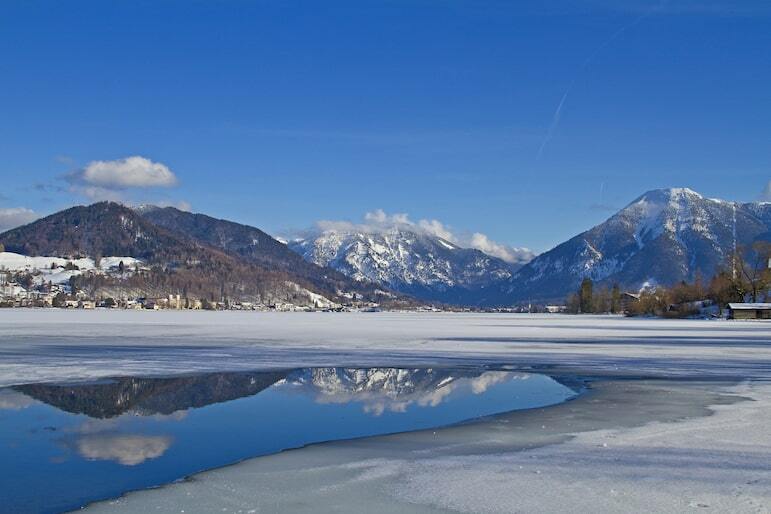 The town of Schliersee is an ideal base for your winter break, providing an authentic and quintessentially Bavarian experience. Located in the foothills of the Alps, only an hour’s drive from Bavaria’s capital, Munich, and less than 90 minutes from Salzburg in Austria, the area offers Christmas-card scenery and more festive fun than you can shake a stick (or candy cane) at. But it’s not all about the Christmas markets – first take time to discover this beautiful region. Bavaria’s stunning lakes are reason enough to visit at any time of the year, but in winter they are particularly impressive. Lake Schliersee, and nearby Lakes Tegernsee and Spitzingsee not only offer picturesque alpine scenery, being surrounded by snow-capped mountains and towering pines, but are also a hive of activity. If you are lucky enough to be around when these lakes freeze over, you can skate or even play ice hockey or curling on them, or simply gather with the locals to sip mulled wine and soak up the festive ambience. 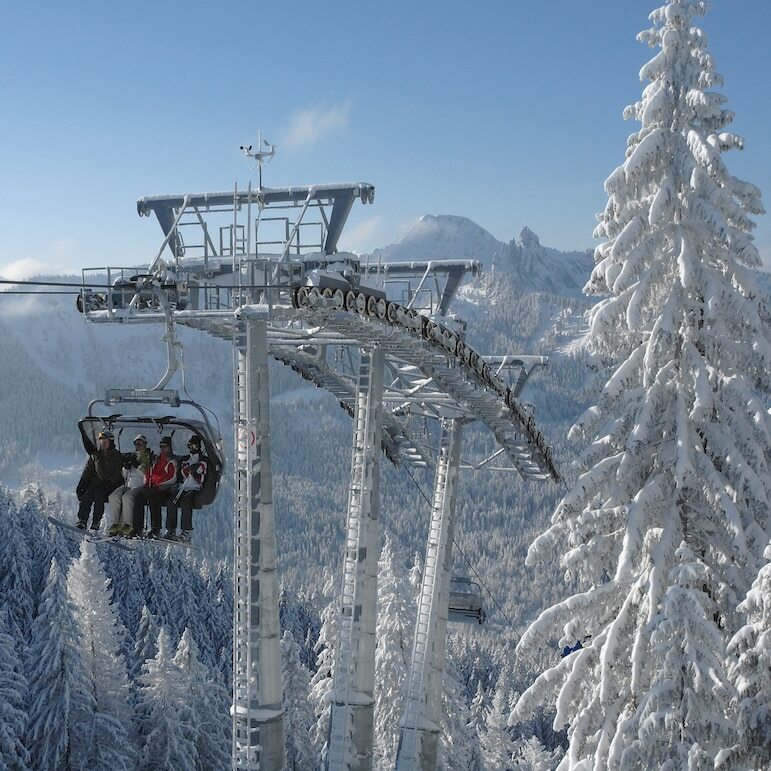 Around a 15-minute drive from Lake Schliersee, Lake Spitzingsee is most likely to freeze over earlier, and for the longest time, due to its elevation of more than 3,550 feet above sea level. 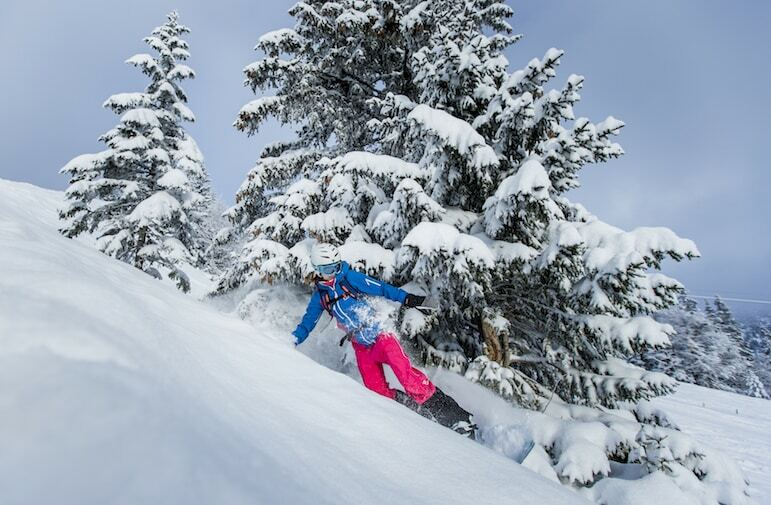 The area offers ideal conditions for various winter sports, with skiing, snowboarding and snowshoeing all being popular. If you have children joining you on your alpine adventure, tobogganing is a fantastic family day out. 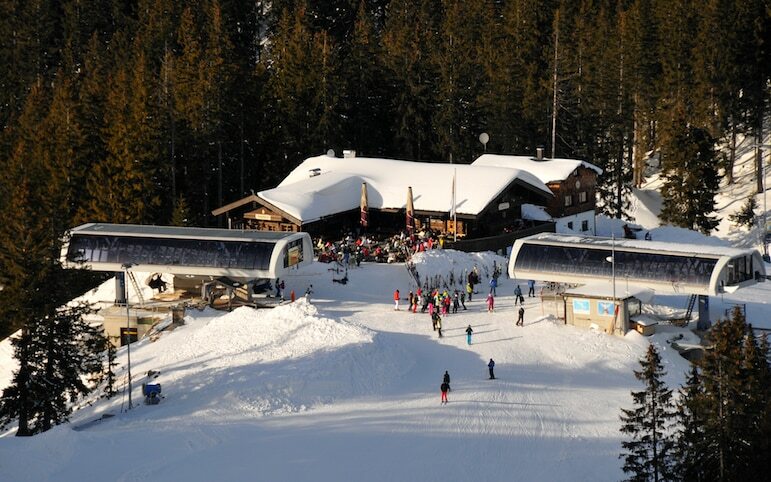 We recommend the Lower Firstalm in Spitzingsee. Getting to the top will take around 45 minutes and you’ll be rewarded with wonderful views. You can also drive to the top, a good call if you suspect a waning interest from the little ones half way up – no one wants to attempt to carry a duffle-coated child up this hill, no matter how good the views! From here, rent a bobsleigh and take off down the sledge run, which is about a mile long. For couples, a horse-drawn carriage ride around Schliersee is the ideal way to enjoy a romantic afternoon. It’s also the perfect opportunity for the taking of smug selfies. 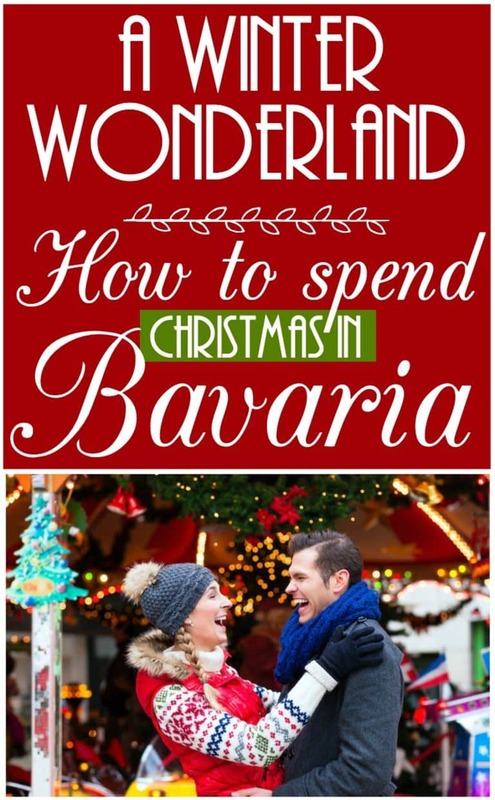 Most of us have visited some version of Bavarian Christmas markets at one point or another. In late November and December those cute little huts and stalls selling huge tankards of white beer and pretzels start to appear in many of our town and city squares, with Birmingham Christmas Market, and London Hyde Park’s Winter Wonderland, being two of the biggest. 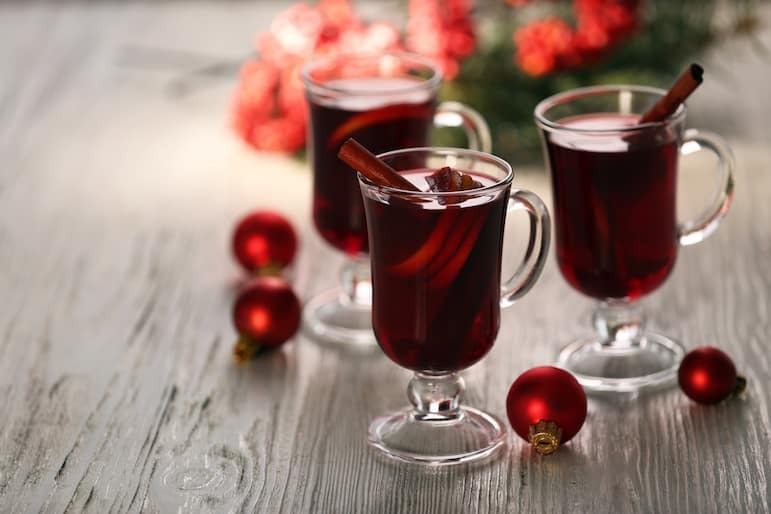 But we think that partaking in this festive frivolity in Germany, the home of Christmas itself, will bring a special magic to your celebrations. Within Schliersee is the small, traditional Wasmeier Christmas Market. Which runs for only a few days in December each year. The market is held in the open-air Wasmeier Farmer’s Museum, and all the buildings in the area are dressed for the season. A highlight is the Christmas bakery, where children can bake their own biscuits and decorate them, and little ones will love the Punch and Judy puppet show too. You can also watch craftspeople practicing the traditional arts of glass-blowing and weaving, and then purchase these unique goods to take home. But indulging in the market fayre is, of course, the best bit! Enjoy baked apples and roasted almonds and chestnuts. There’s also a tavern on site – prost! Venturing further afield, Munich Christmas market will get even the most miserable Scrooge in the seasonal spirit. 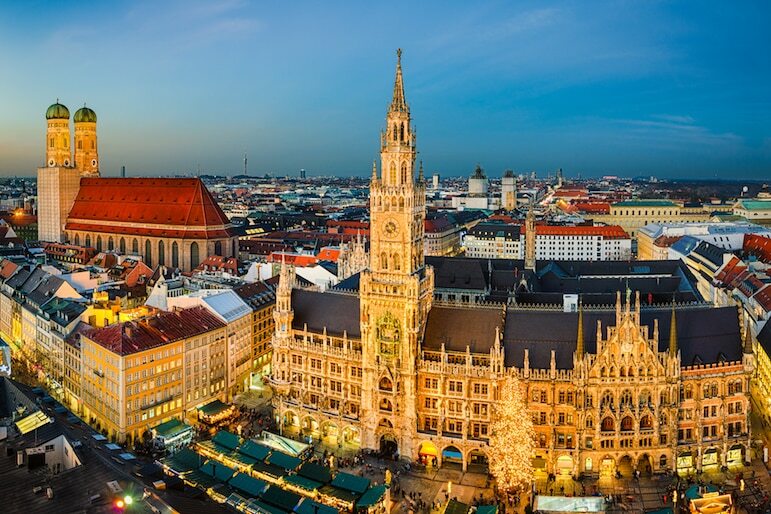 The market has been running since the 14th century but has been held in the Marienplatz, in the heart of the city, since 1972. It is assembled at the end of November and closes on Christmas Eve. The Marienplatz is impressive in its own right, with the Mariensäule, or column of St. Mary, at its centre and the dominating Neus Rathaus (New Town Hall). But, during the Christmas period, it really is a delight to behold. A huge Christmas tree towers over the square, standing 98 feet tall and lit by 2,500 candles. Each evening at 5:30pm, you’ll also be able to listen to live festive music performed from the Town Hall’s balcony. If you are looking for a Bavarian souvenir to break out each year, or to purchase as a gift, then you’ll be spoilt for choice here. 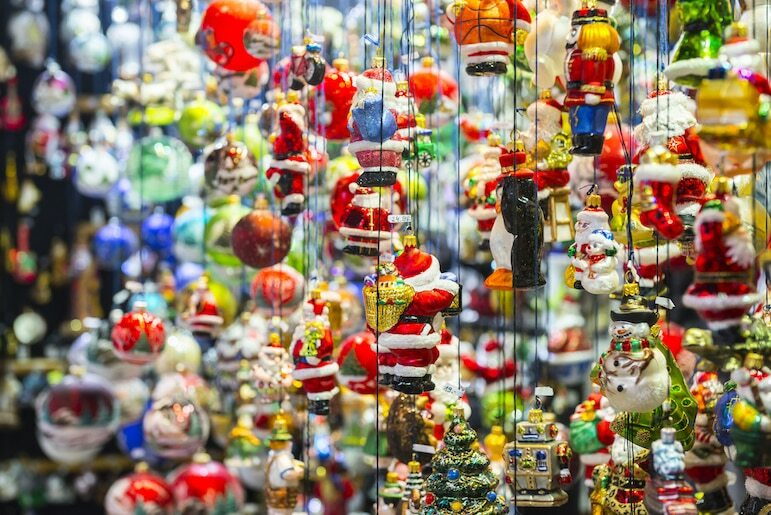 You’ll find hand-painted baubles, sheepskin jackets, gingerbread men and houses, hand-carved nativity sets, stollen and everything in-between. Though this is the main Christmas market, it is not the only one in Munich, there are around 20 dotted around the city, and trying a mulled wine in each could be considered a useful way to spend your time here. 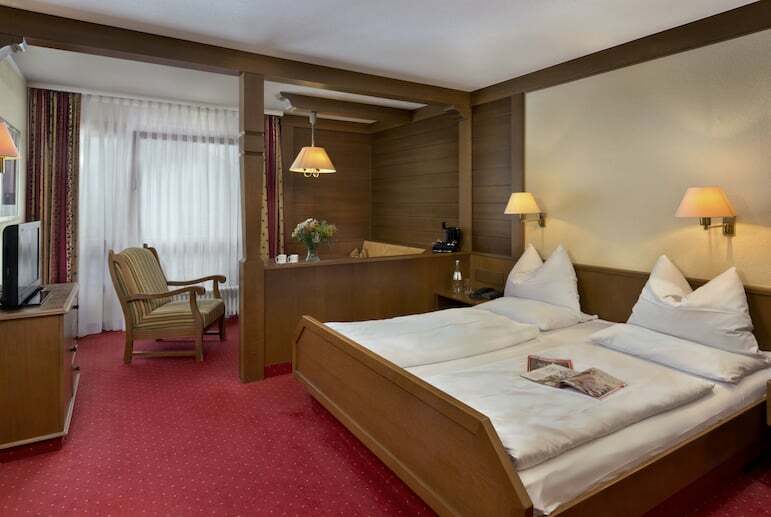 The four-star resort of Karma Bavaria is the ideal base for exploration of the fairytale town of Schliersee and beyond, and its picturesque location is only the beginning. 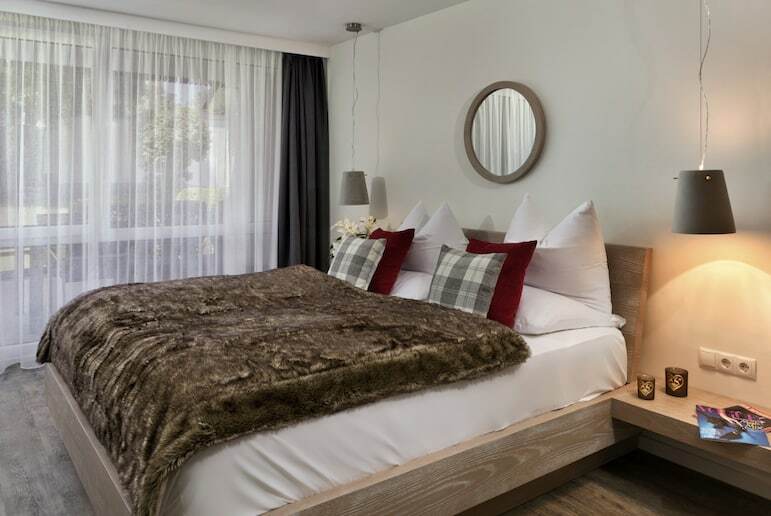 The resort’s 82 comfortable, alpine-style rooms, are comprised of hotel rooms (standard, deluxe, superior and family rooms) with studio, one- and two-bedroom family apartments. 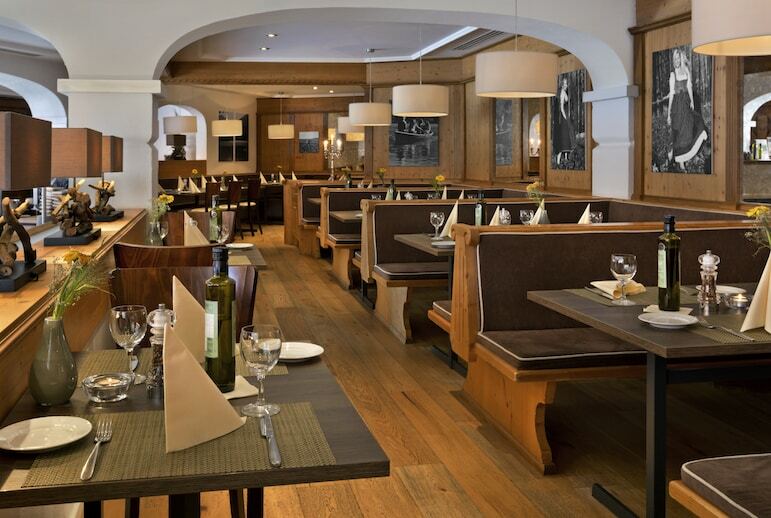 Guests can enjoy the best of Bavarian cuisine in the Karmasee restaurant, which serves a blend of traditional and international dishes. All food in this cosy restaurant is locally-sourced, and can be washed down with a Bavarian beer or German and Austrian wine. 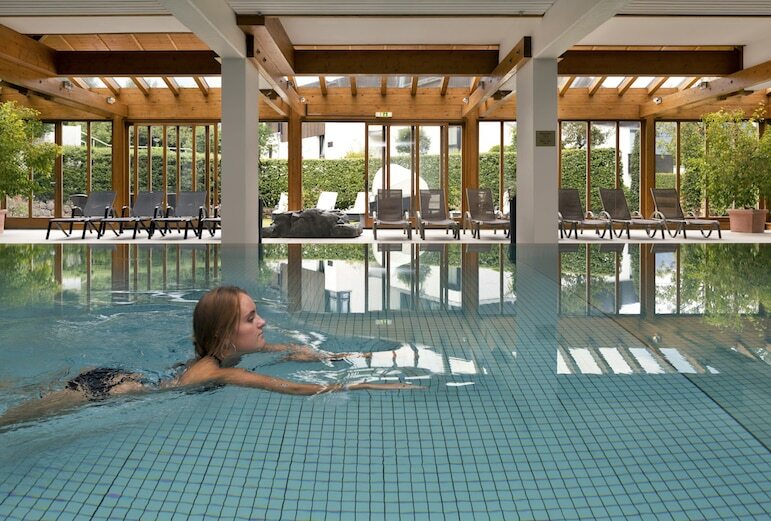 The on-site spa offers a great variety of treatments to help you relax and unwind on your holiday – but it’s best to book ahead to ensure availability. 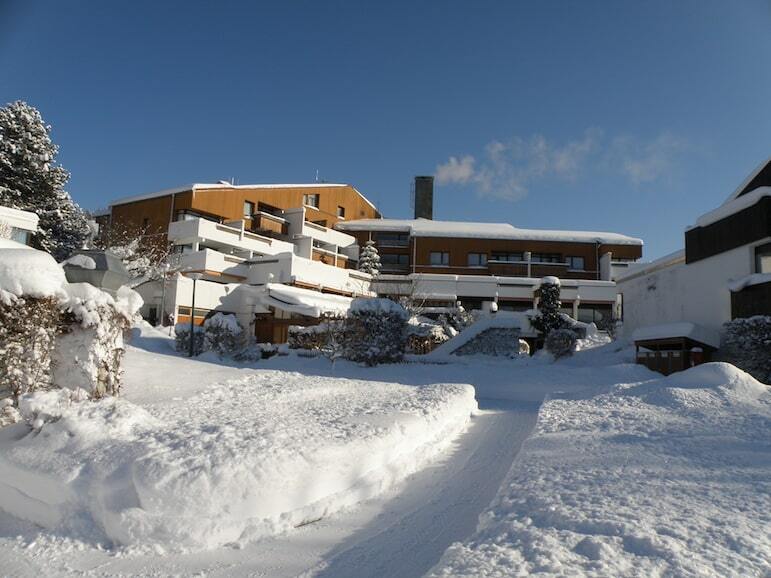 The resort is also excellently placed for guests to hit the slopes. 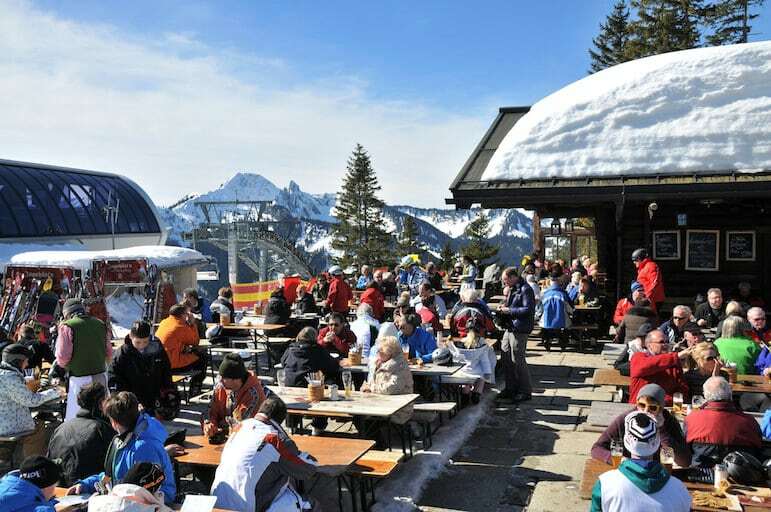 The area has its own distinct charm, and of course fabulous scenery – plus, you’ll also benefit from shorter queues than in Europe’s more well-known ski resorts. 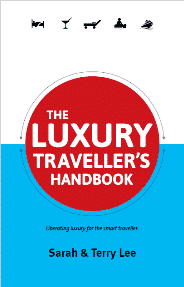 Karma Group is an award-winning international travel and lifestyle brand offering extraordinary experiences in the world’s most beautiful locations. 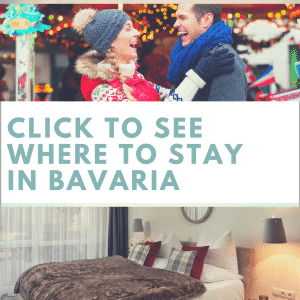 For more ideas for festive fun, take a look at Karma Bavaria’s 12 days of Christmas programme, it’s packed with ideas for your Christmas break, from in-resort gatherings and cocktails of the day, to guided tours and themed dinners. Get a taste of the real Bavaria. Book directly with Karma Bavaria, you can email their reservations team or call +49 (0) 800 589 4766 to book. Own timeshare but not an RCI member? Unlock the potential of your timeshare and access the largest holiday exchange network with more than 4,000 resorts worldwide – visit rci.com/join to join today. Plus, get your first exchange FREE by quoting ‘RST10’. For inspirational member stories and more, visit the RCI blog.